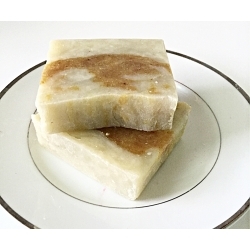 This Bay Rum Salt handmade natural organic Soap Bar will give you that clean feeling that will have you coming back for more. Irresistible and undeniably the most manly soap ever. Fresh essence of bay leaves with the bright enjoyment of orange peel and zest...Men with sensitive skin will surely benefit from its non-irritating and hypoallergenic qualities. 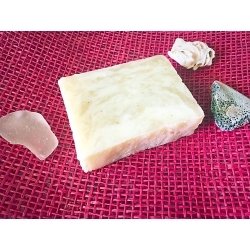 I add sea salt (white layer) which has a lot of benefits for skin: increased circulation, antiseptic effects, soft skin without a greasy feel. 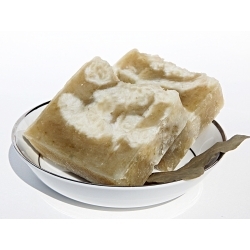 Sea salt is a natural detoxifier, as the salt absorbs the toxins from the skin. For green color I add Alfalfa powder which contains Vitamins C, D, E and K.
I add Alfalfa powder (green layer) for extra properties. it contains Vitamins C, D, E and K.
Weight of each bar is approx 4.6 - 5 oz. 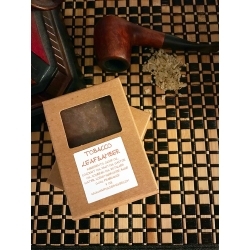 Each bar of soap is individually packaged and labeled in a craft soap box. 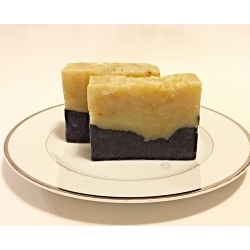 This Palm Oil Free Detox Handmade Natural Soap Bar is made with Shea Butter, Hemp oil, Oil, Avocado Oil, Olive Oil, Rice Bran Oil, Castor Oil and Baking Soda. 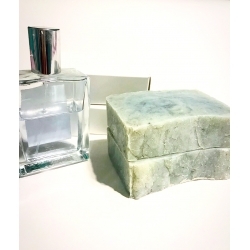 It has smooth, mellow, comforting scent - Cedarwood and tobacco blend with blushed rose petals, tonka bean and oak aged bourbon. Baking Soda's natural cleansing properties help eliminate dirt and oil from pores. Wonderful dirt and grime remover. 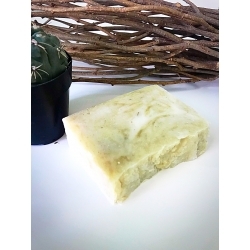 It soothes sensitive skin as it gently cleans impurities and refreshes complexion This is a good facial soap and spa treatment for your body as well. Good for all skin type. 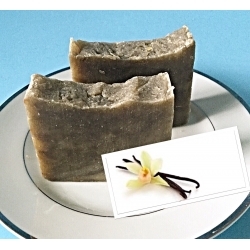 Shea Butter is a skin superfood that comes from the seeds of the Shea Butter tree. It is naturally rich in Vitamins A and E Hemp Seed Oil is rich in Omega 3, 6 & Gamma-linolenic acid. 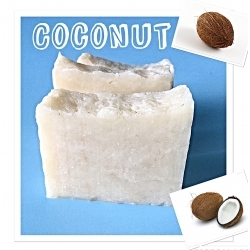 It has been used for centuries to treat a variety of skin conditions including eczema psoriasis, and acne, just to mention a few. 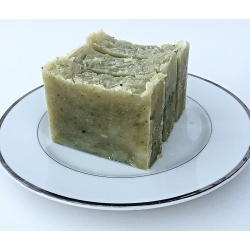 Hemp oil acts as a good moisturizing agent for the skin Weight of each bar is approx 4.3-4.9 oz. 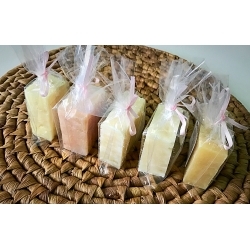 Each bar of soap is individually packaged and labeled in a craft soap box. 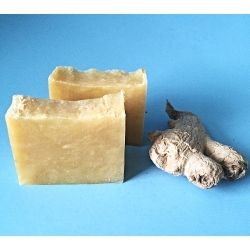 Warm honey and tobacco notes are brightened with hints of citrus and spice - that is how this soap smells. Both men and women like it. 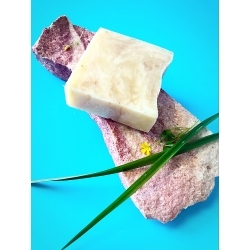 I add a Blue (Cambrian) clay which is found in Siberian salt lakes in Russia and is loaded with minerals and algae and known for its clarifying and skin balancing properties. This clay penetrates deeply into your pores to draw out impurities while also helping your skin to maintain moisture and also provides a supply of essential minerals, vitamins, organic acids and anti-oxidants through the skin due to its well-known ability to absorb substances. 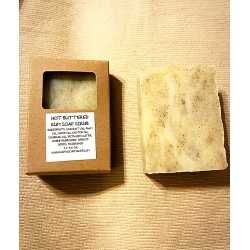 So, this soap is great for face as well as for body.